(This product is being discontinued.) 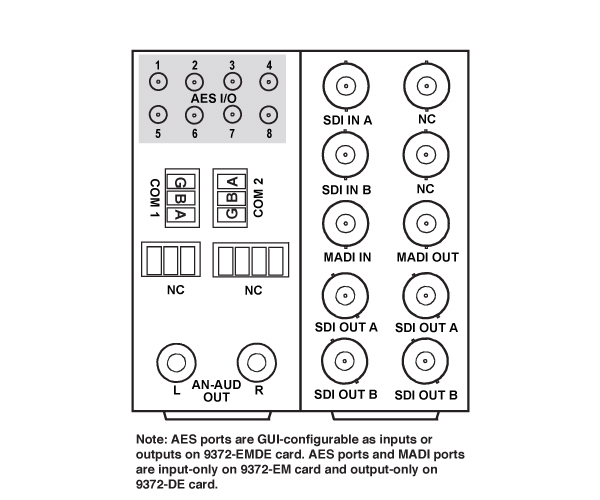 The 9372-EMDE offers a comprehensive solution for digital audio transport conversion and embedding/de-embedding. A full unrestricted audio crosspoint provides channel routing between any channels on up to two SDI streams, discrete AES-3id, and AES-10 MADI interfaces. 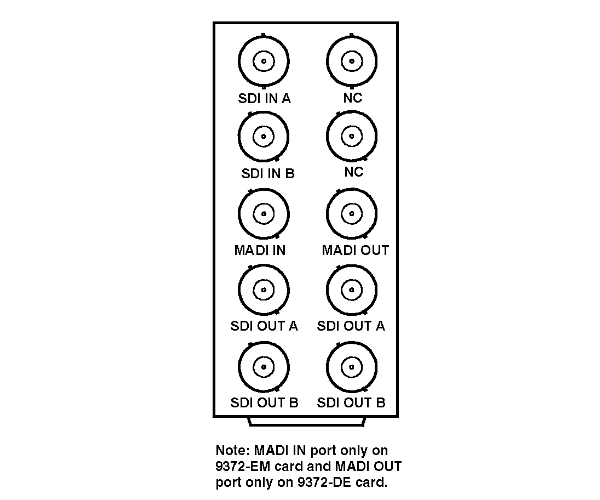 The card MADI interface supports a 64-channel payload at the industry standard 48 kHz sampling rate, and can reliably receive from 1694A cable runs up to 250m, thereby allowing longer MADI cable runs without resorting to fiber cabling. 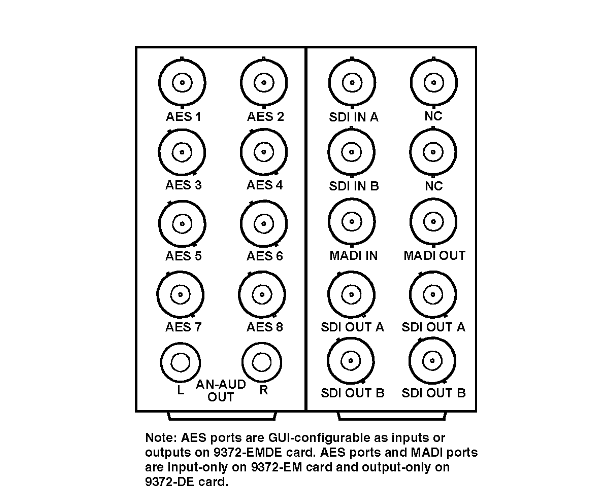 All SDI embedding and SDI output timing is timed in common to a selected timing source. A convenient 2-channel analog confidence monitor output allows monitoring of any selected input or output. The line-level output pair directly interfaces with audio monitoring units or powered monitors. Utilizing the openGear® open-architecture platform, the 9372 offers scalable incorporation and the easy-to-use DashBoard™ setup and control operator interface. Full user remote and card-edge monitor/control allows full card status and control access locally or across a standard Ethernet network. Capacity: Up to 8 BNC ports (user selectable as input or output). Practical capacity determined by Rear I/O Module used. for reference but is no longer available. can provide the same functionality and can be used instead. You are currently requesting a quote for 9372-EMDE.